Governments rely on certain basic economic metrics and tools to analyze prospective laws and policies and to monitor how well their countries are doing. For decades, critics of such economic measures have argued that they ignore important aspects of value that are not fully reflected by output or by willingness to pay (WTP). In recent years, one of the most important developments in social science has been the emergence of psychological research measuring subjective well-being (SWB) or “happiness.” Researchers have made great strides in replicating and validating their findings about happiness, and world leaders have called for this research to be used to supply SWB-based metrics and tools as alternatives to the existing economic ones. In response to these calls, early efforts have been made to use SWB research to create new social indicators. In this chapter, we discuss some of the efforts that have been made in this regard. We first briefly explain the way that SWB is measured and the way those measurements have been validated. We then explain our own contribution — well-being analysis (WBA) — which uses happiness data to analyze prospective policies more accurately than does cost-benefit analysis. Next, we cover the ways in which SWB data have been used to generate prices that can be used by traditional economic analysis. We then discuss attempts to revise cost-benefit analysis to deal with the limitations stemming from the fact that it uses wealth to assess the effects of policy on quality of life. Finally, we lay out the strides that have been made toward creating an SWB-based alternative to GDP. 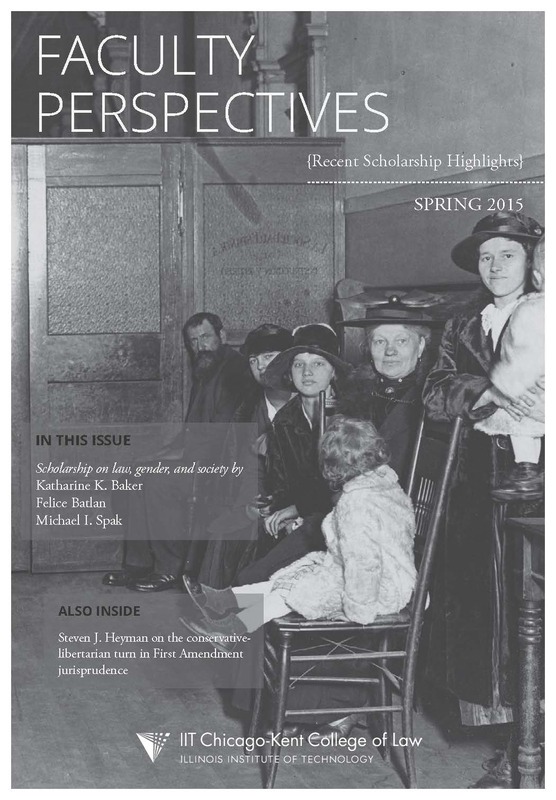 Read about our faculty’s latest activities in the November 2014 issue of Faculty News, now available online, which recounts this fall’s presentation and travel highlights, published scholarship, and in-progress research projects. This season saw the publication of at least 7 articles and 2 books. Click here to read more. 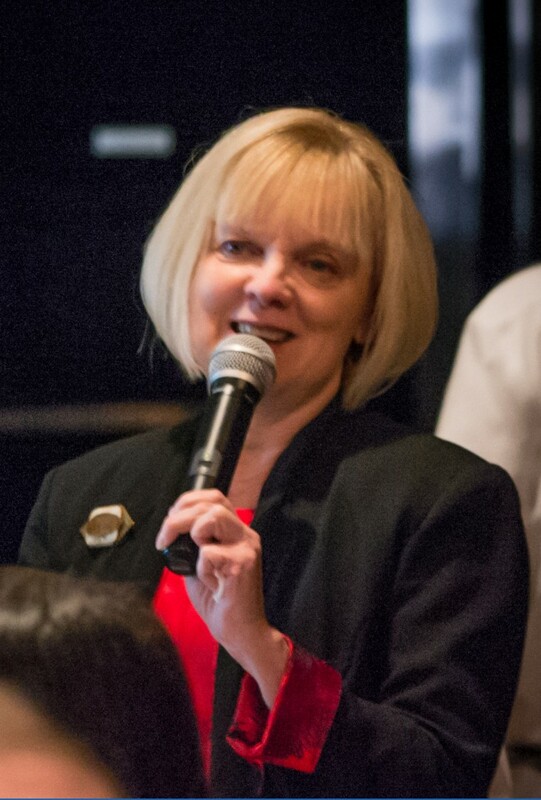 On November 20, 2014, the Chicago Association of Law Libraries welcomed Prof. Lori Andrews as the speaker for their quarterly business meeting. Prof. Andrews spoke on “Privacy’s Dying Gasp and How Librarians Can Resuscitate It.” She started the talk by sharing her life-long appreciation for libraries, including the law library at Yale. She pointed out that online sources allow her to research things that could not have been found in a bricks and mortar library. But even though there is more information online, she added, it comes at the cost of the tracking and aggregating of private information online. Prof. Andrews gave several examples of how information posted online can be used against the person who shared it: in one instance, the consultancy firm Deloitte encouraged a group of life insurers to look to an applicant’s social network pages, especially for evidence of such personal characteristics as being an avid reader; eating fast food; commuting to work; and having friends who are skydivers, to determine if the applicant is a bad underwriting risk. When asked why an avid reader might be a risk, she speculated that the insurer might believe that avid readers have more sedentary lifestyles. Prof. Andrews explained that the information collected online goes to advertising and while she believed that most people would not mind a coupon, other advertisements can be more intrusive, especially those that use someone’s name and/or likeness. For example, two work colleagues could both “like” drugstore.com on Facebook and that affinity could produce a Facebook advertisement that tells their mutual Facebook friends that the two “like” a brand of personal lubricant. Prof. Andrews explained how social media can infringe on the right to a fair trial. In one example, she noted that criminal penalties may be enhanced if there is evidence that a defendant wore gang colors in a picture on social media. She pointed out that the Los Angeles Police Department considers plaid and black, otherwise benign patterns or colors, to be gang colors. She also noted that jurors find it difficult not to Google the facts of a case or tweet about being a juror. She told of a librarian who was charged with contempt of court for conducting her own online research into shaken baby syndrome when she was a juror in such a case. Supreme Court justices love to talk about the importance of public engagement. The American people, they insist, need to understand what the Court does and why. They write books and articles, deliver lectures, and give interviews, often with the express intention of informing the public about the Court’s work. Yet when it comes to actually reforming the way the Court operates to better serve these goals, the members of the Supreme Court sing a different tune. They hold tight to traditional practices, such as their process of releasing opinions, that make press coverage of the Court a uniquely challenging task. Not only do the justices refuse to allow cameras in the courtroom, but they delay release of audio of oral arguments until the end of each week and audio of opinion announcements until the beginning of the following Term. While I think all of these practices should be reconsidered, for most of them I can see that there are some arguments on the side of tradition. (For a terrific discussion of these issues, see the video of this year’s Constitution Day event at Chicago-Kent.) But that last one—the delay of releasing audio of opinion announcements for several months—is pretty much indefensible. What possible purpose does this policy serve? In justifying their refusal to allow any live broadcast (video or audio) of oral arguments, the justices often talk about their fear of the media reducing complex points to misleading sound bites or of grandstanding by lawyers and justices. The sound-bite concern is minimal in the context of opinion announcements, though. The justices are summarizing their written opinions, so they have already taken the sound-biting into their own hands. Any possible risk of selective quotation would seem to be the same, or even less, than the risk of improperly quoting an excerpt from their written opinion. As for judicial grandstanding, I just have trouble seeing this as a problem. If anything, as I have noted in previous ISCOTUS posts, the justices tend to tone down some of the more accusatory language from their written opinions when reading a dissent from the bench. Anyway, a bit of grandstanding would not be a bad thing if one of the goals of an opinion announcement is to convey the importance of the issues at stake. Sergio Gamonal C. (left) and César F. Rosado Marzán. 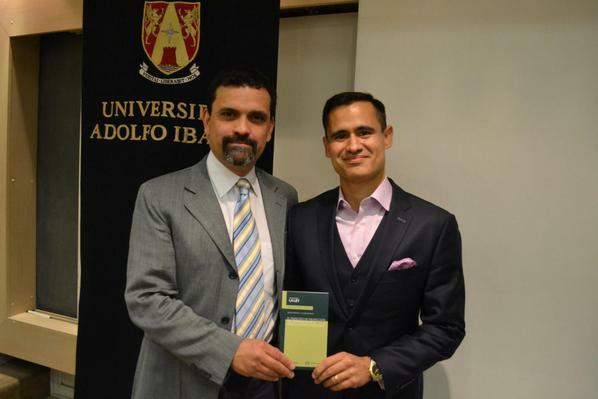 On October 20, 2014, Professors César F. Rosado Marzán (IIT Chicago-Kent) and Sergio Gamonal C. (Adolfo Ibáñez) launched their new book, El Principio de Protección del Trabajador en el Derecho Norteamericano (“The Protective Principle in U.S. Work Law”), at the Universidad Adolfo Ibáñez in Santiago, Chile. The launch ceremony featured a discussion of the book with Omar Astudillo Contreras, Minister of the Court of Appeals of Santiago, and Jose Luis Ugarte Cataldo, a professor at the Universidad Diego Portales and one of the most prolific labor law scholars in Chile. 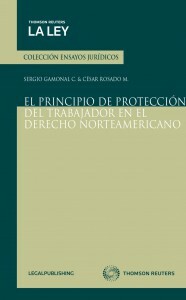 El Principio de Protección del Trabajador en el Derecho Norteamericano, published by Thomas Reuters-Chile, is a modified translation of the authors’ English article “Protecting Workers as a Matter of Principle: A South American View of U.S. Work Law” (forthcoming in the Washington University Global Studies Law Review). The book and article are attempts to use South American models to jump-start a discussion in the U.S. about the country’s need to develop more substantive principles for labor and employment law (i.e. “work law”). Scholars have noted that judicial conservatism has eroded work in law in the United States. The Roberts Court has kept in line with such conservatism, deciding a number of key work law cases in favor of employers. But the rebirth of work law in South America after years of authoritarian rule and dictatorship may provide valuable lessons for the U.S. and other jurisdictions. In particular, the authors point to the principle of protection, perhaps the central pillar of South American work law, as a doctrine that may help develop U.S. work law. To read the English article version, click here. Note: The book is not yet available online for purchase, but once it is, it will be available here.